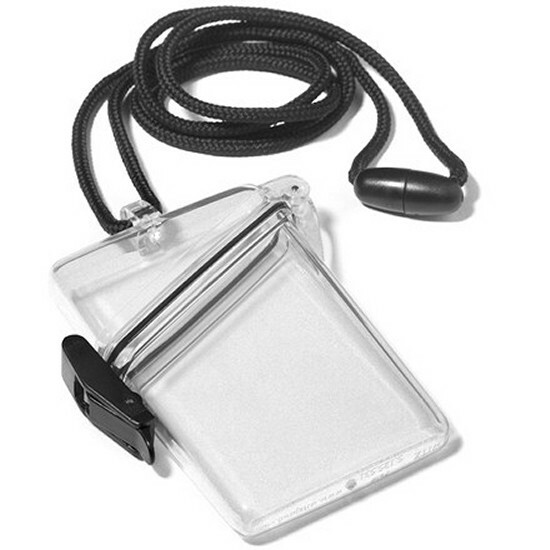 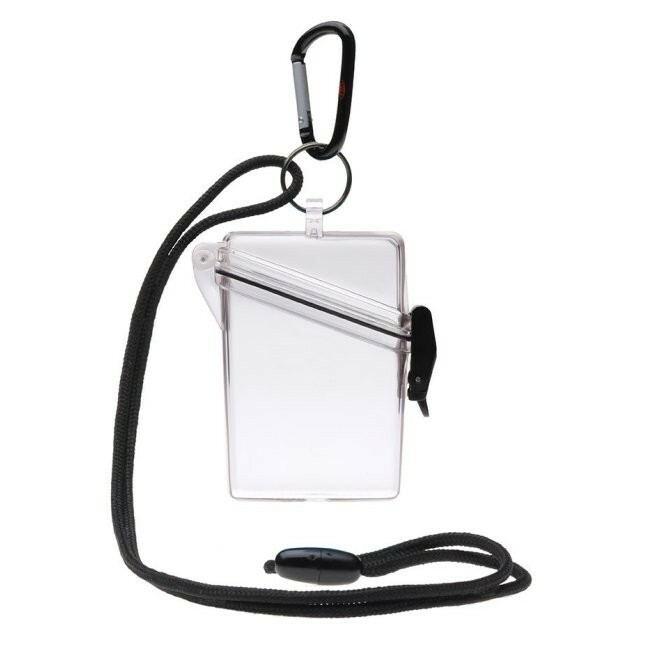 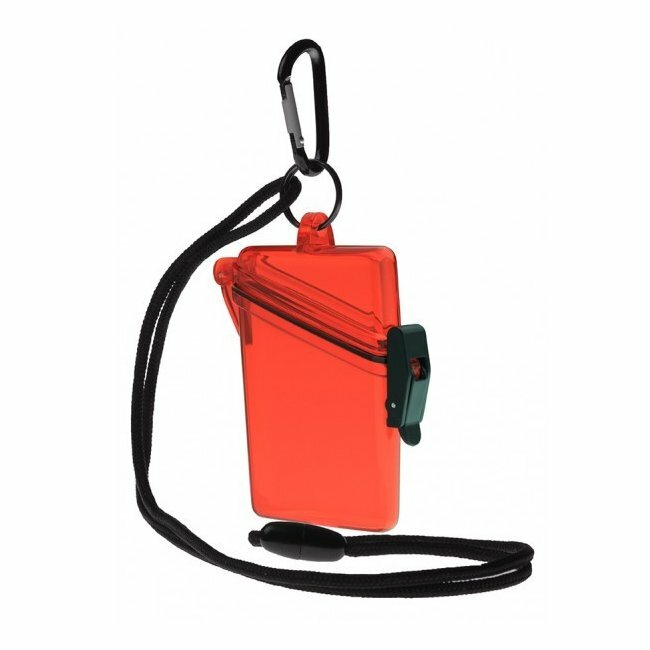 This clear case is ideal for holding a drivers or fishing license, or even a mini survival kit. 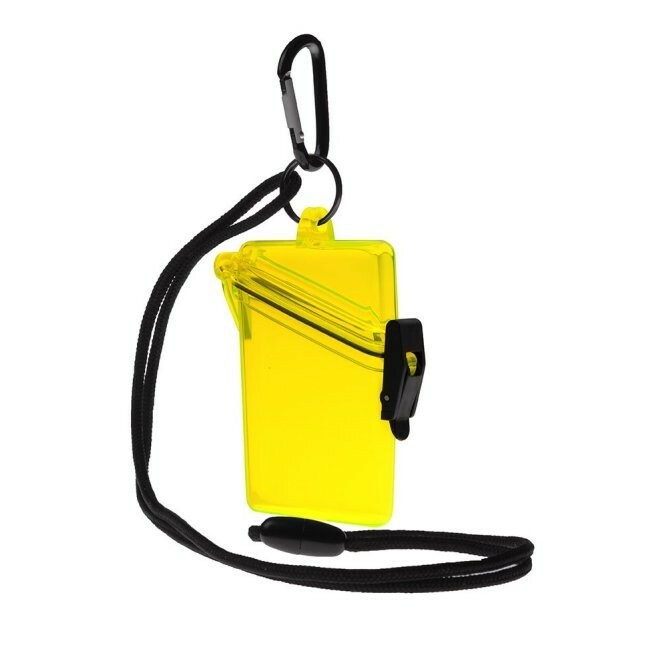 Translucent, it is available in clear, yellow, red, or military green. 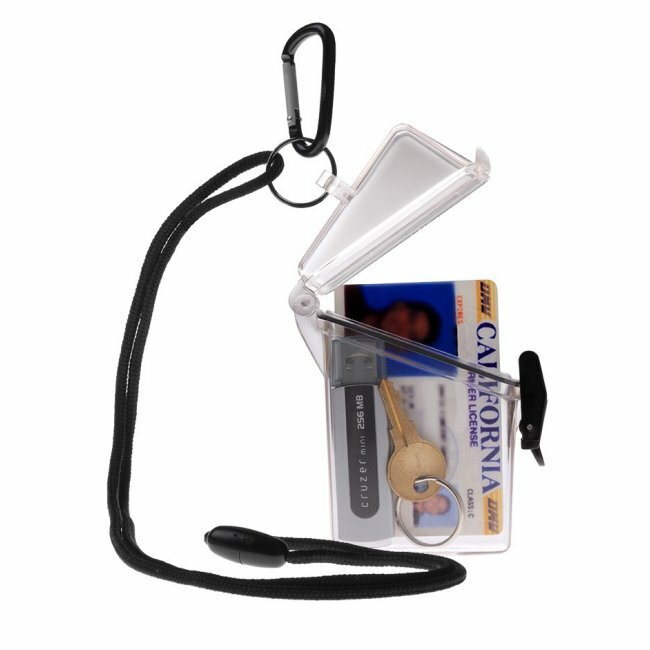 Comes with a nylon lanyard. 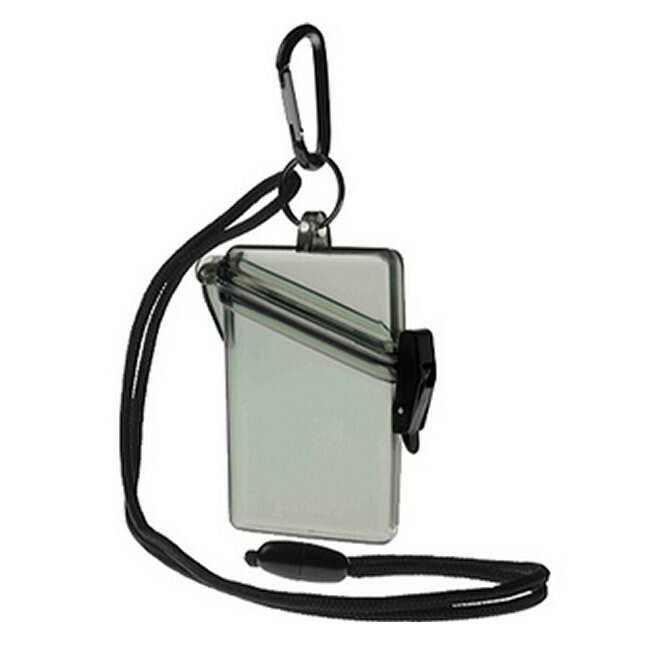 Measures 2.5" wide x 3.7" high x .75" deep.